A fun and innovative event with a playful celebration of Roanoke’s history! 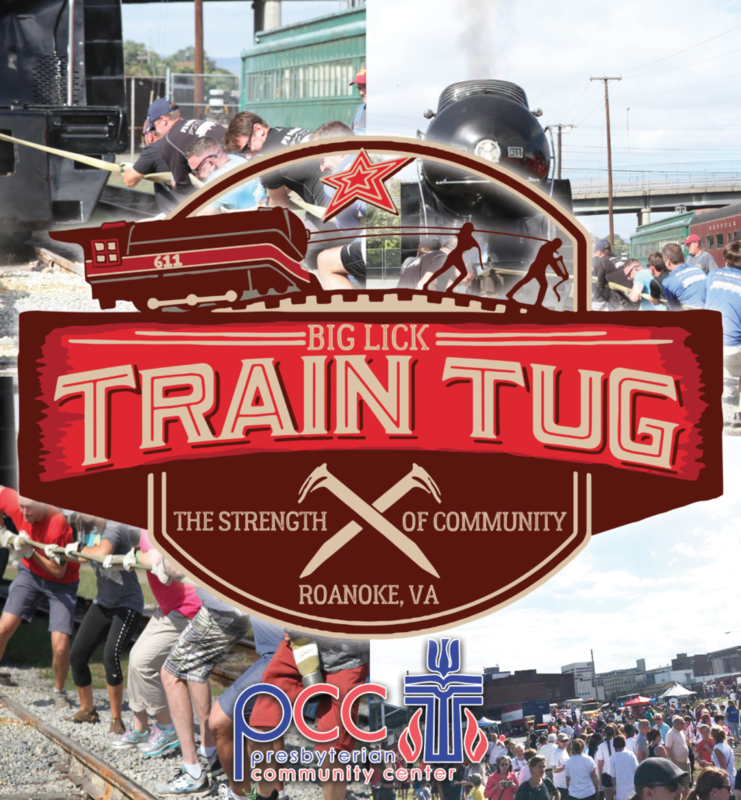 The Presbyterian Community Center presents the 2nd Annual Big Lick Train Tug Saturday, September 29th at the Virginia Museum of Transportation! Teams will enroll to “tug” the train, competing for time and distance as well as fundraising efforts. We will also feature food trucks, local craft beer and activities and fun for kids! This event is sure to be another favorite curated by the area’s leader in events, Big Lick Entertainment!